I was in a conversation yesterday about a forecasting tool we use to manage our sales pipeline in Application Development. I’m frustrated about some of the tool’s limitations, and I was ranting to one of my peers, Rob, that I wanted to throw it out and build something new. And that’s something, I am embarrassed to say, that hadn’t occurred to me. As a self-proclaimed smart guy who sometimes wears the mantle of leader, I all too often feel like it’s my job to generate new ideas, to create new solutions, to invent my way out of any issue, dilemma or challenge. Because what’s more American than creating things, am I right? Which makes me think about ketchup. What’s more American than ketchup? We put it on our burgers, we put it on our fries, on our eggs, our hash browns, and in our macaroni and cheese. We serve it with our breakfast, our lunch, and our dinner. No less than 45 American companies manufacture and distribute their own variations of ketchup to every corner of the globe. The red on the American flag might as well be painted with it – it’s that American. When was the last time you went to a casual restaurant or “American Bistro” and they didn’t have a bottle at the ready, or pre-set at your table? It’s as American as apple pie. More! As American as freedom! Ketchup is the liquid equivalent of a bald eagle clutching a McDonalds bag as he soars over the Rocky Mountains and into the setting sun. It’s that American! But where did this stuff come from, this American red gold? Let’s dig a bit and see. Ketchup came to the Western world in the late 17th century, given to European traders in their travels to the Far East. There are stories dating back to 1690 which describe a vinegary, pickled condiment found in the Fujian region of coastal China reportedly called “ke-chaip”, and similar stories from 1710 and ’11 describing an Indonesian “brined” sauce referred to sometimes as “kecap” and sometimes as “ketjap”. Nobody knows what it was about this exotic condiment that westerners found so intoxicating, but we sure did love it. We were making catchup in Great Britain as early as 1727 – nearly 50 years before the American Revolution! The condiment was so important and pervasive that it had already found its way into a “new world” cookbook as early as 1801. In America, catsup (apparently it was Americanization that changed catchup to catsup) was made regionally and sold by farmers across much of the 1800’s. In 1876, the H.J. Heinz company started mass-producing their own unique blend of catsup, and – in the hopes that it would make their product stand out from the farmer’s alternatives – they decided to call their sauce ketchup. 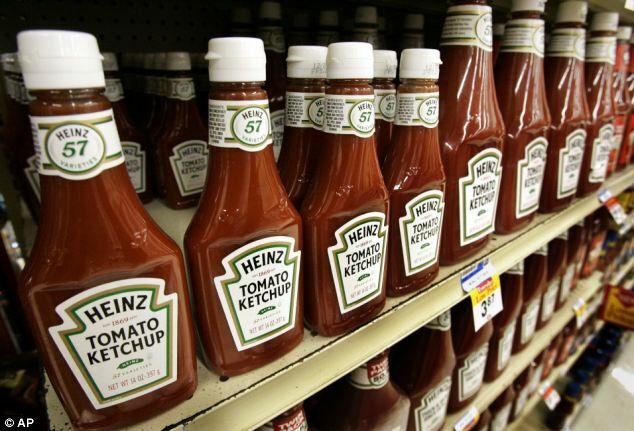 Over the next 10 years, every other manufacturer followed Heinz’ lead, and as the manufactured food industry exploded in the new world so did ketchup. Fast forward a hundred and twenty-five years, your local grocer probably stocks between ten and twenty brands of ketchup (some even spelling it catsup again) – all manufactured in the U.S. and distributed to every country in the world. There are 196 nations on the face of our planet, and the one thing they have in common – all hyperbole aside – is the presence of ketchup. Americans didn’t discover or invent ketchup. We weren’t the first to create it, the first to document it, the first to fine-tune it, the first to trade it, or the first to sell it. We just took something good and made it better. We looked at what we had, and – through trial and error, through experimentation and discovery – we turned it into something better. Which brings me back to my conversation with Rob. We’re often in the situation that we need to determine whether to make something or to take something that already exists and make it better. In Application Development, we’re probably in this situation more than most; but I think everyone can relate: Fix the deck or build a new one? Steam-clean the couch or buy a new one? Sand and re-stain the table or buy a new one? When we’re in those situations, it almost always seems like the “best” choice is to make something new instead of taking something that already exists and making it better. Just because it’s easier doesn’t mean it’s better. Just because you want to doesn’t mean you should. Just because you thought of it, that doesn’t make it the right choice. Maybe take a moment, the next time you find yourself facing a make it better moment, to dip your decisions in ketchup, that uniquely American condiment. Americans didn’t make ketchup, We just made it better. Andrew Powell serves the Application Development practice at OST , providing guidance, strategic support, and candy to more than fifty developers and consultants. Andrew has been a technology consultant for more than twenty years. 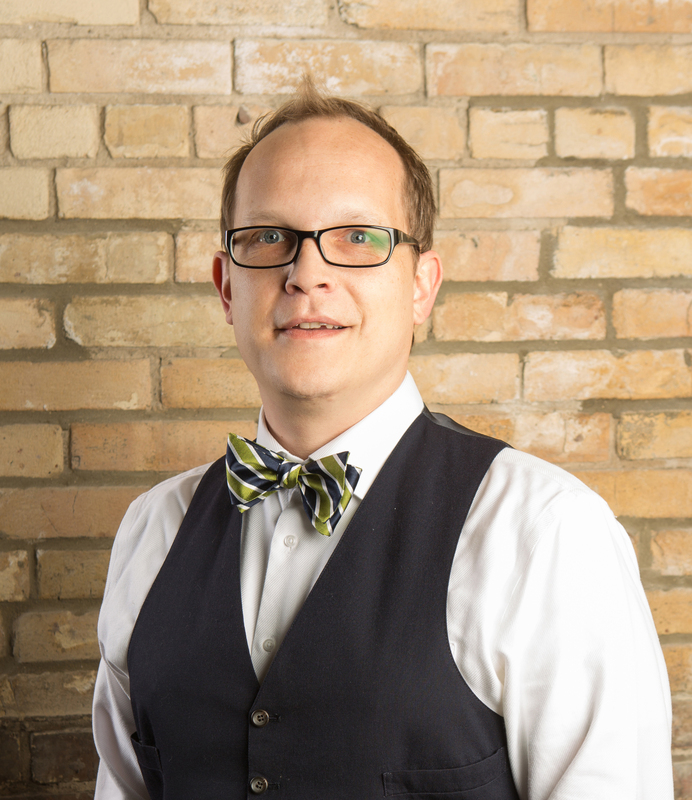 In addition to consulting, Andrew is a frequent public speaker in technology circles, and loves to talk about the coming Robot Apocalypse and how application developers are positioned to defend the world against our future robot overlords. When not cowering in fear, Andrew makes his home in Grand Rapids, Michigan. The 2016 Design in Tech Report has again been released by John Maeda of Kleiner Perkins Caufield and Byers. As a survey contributor, I was excited to see the evolution from 2015 to this year’s publication. Again this year, Maeda focuses on the integration of Design and Technology through experience as he sites three kinds of design that are in practice today; Classic Design (Craft), Design Thinking (Business) and Computation Design (Technology). Below are a few themes from the report that we’ve seen firsthand at Visualhero. We see this play out in our work. The problems we tackle from one project to the next are complex and ever-evolving. While we love our craft and strive to make things look great, polished, and “ done”, often our engagements involve seeking incremental value through methods like sketching, research, and prototyping. While these deliverables move the greater objective forward, we know that there is always another release or phase of the project ahead. The report outlines how start-ups and corporations are taking the place of education. Similar to many industries, traditional education is creating new designer graduates who are not as prepared for #DesigninTech as the professional field would like. We often find ourselves looking at candidates for their hunger and character first and shaping their knowledge for the first few years. Just as recent graduates adapt, so have established designers who are now being utilized across multiple disciplines and types of design. We are no longer single crafts people, but contributors to brands, products, services and organizational strategies – a type of work that can take many different forms and practices. We work side by side with professionals of varied backgrounds, skill sets, training levels and perspectives. The pace of business and change has ignited investments in design. These investments are made to achieve a variety of business objectives including talent acquisition, a new service or profit center, executive representation, and to incorporate innovation and strategy throughout organizations. Companies are now reorganizing around this idea. Our very own story in the past few months speaks not only to the opportunity to merge Design, Business and Technology, but to help others do so through our combined offerings. Large systems bring complexity. A whole section devoted to trends in public companies signifies the desire for design to manage that complexity. For example, the way companies bring things to market is fundamentally different today given the ability to instantaneously deliver a product vs. weeks of creation and distribution, shifting the time needed to deploy digitally designed products. This speed and scale leverages methods of research, iteration, prototyping, and agile across the enterprise. Empathy is a fundamental part of the design process. But we are only scratching the surface here. Empathy is only being used for the most obvious users of an experience. “If the purpose of smart systems is to make sophisticated subtle decisions so people don’t have to, it is pointless if people can’t trust them to do so. This means that crafting the relationship between people and the technology we use becomes as critical as building faster processors.” —Patrick Mankins, Fast Company. This quote from page 34 of the report eludes to design building the fundamentals of a relationship to inclusion, equality and disabilities. As we become more familiar with empathy as a driver, we can expect more purposeful considerations for universal design. Many of these principles are not new but the pace of change is just now bringing them to the forefront. It is an exciting time to be practicing design. If you have not already you can check out the #DesigninTech Report here. Functional design systems, and visual storytelling have long been a passion for Andy Van Solkema. From boyhood days of designing a neighborhood baseball league complete with team logos to designing for local, regional, and national companies, his passion has grown and evolved to leading a 12 person studio that is using design for unique outcomes that span stories, systems, processes and experiences. Andy is a graduate of Grand Valley State University with BFA in Graphic Design and a Master’s of Design from Kendall College of Art and Design. Following graduation, Andy worked as a design consultant in the printing industry, graphic designer and art director in brand communications, and as an interaction design director. He enjoyed the variety of experiences, but ultimately something was missing. In 2004, he started his own design studio, Visualhero Design. Initially working as a one-person shop in a home office, Andy grew the business in a slow, steady and smart way through the down economy. To differentiate themselves and to offer the most to their clients, in 2006 Andy and his team formally adopted user-center design principles with a research and systems approach to creative problem solving. In 2016, Visualhero was acquired by OST where Andy now serves as Chief Designer. His team focuses on form, function, and meaning. The scope of work has grown to include graphic recording, data visualization, brand identity, interface design, information architecture, user experience and customer experience. They design brand communication, applications, websites, and business systems and processes that aren’t just easy on the eyes. More importantly, they are designed for the user today and tomorrow. Van Solkema has combined a systems and process mind with craft of design and creativity. He spends his time as an advocate for design, creative lead for the team, and managing design vision for OST / Visualhero Design. Although most days are spent directing design, running the business or meeting with clients, he enjoys using his experience helping GVSU Design Thinking Initiative and various nonprofit organizations. He also enjoys leading design workshops at his alma mater and other design education opportunities. Andy has been published in design books and publications and received accolades and awards for branding and design. 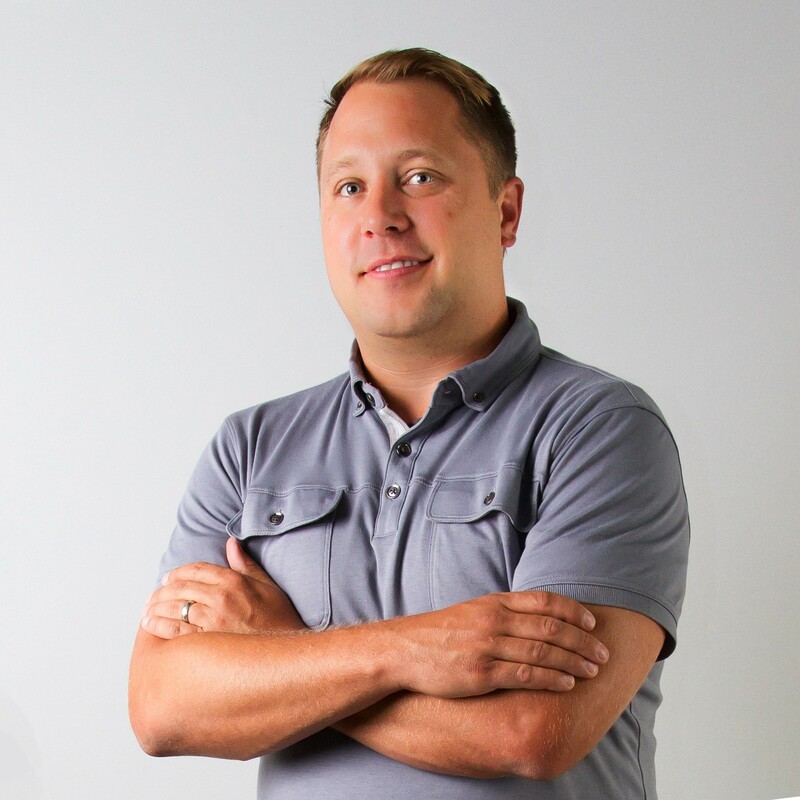 Design has changed and although he is firmly rooted in West Michigan, the clientele has grown to include Amazon, Nest, Apple, Chamberlain, Capitol Studios, GM and a host of local, regional and national corporate clients, a handful of local and Bay Area startups. Well beyond what Andy could have ever imagined back in 2004. What role does empathy play in the OST culture? And now, for a Lesson in the Greek… Empatheia! Empathy. Say it a couple of times… heck, say it out loud twenty times in a row. Say it until it has no meaning for you anymore then back off, wait a minute and write it down on a piece of paper in front of you – then study it for a bit. Think on it. What does it mean to you? Here is a word we hear all the time. But what does it really mean and why is it important? Why is it a valuable trait in our work and home lives? What does it truly mean to be “empathetic”? How can we increase our empathy and be thoughtful about employing it? The etymology of the word empathy is from the Greek word “em” which in English translates to “in” and “pathos” which translates to “feeling”. Put it all together and the actual entire Greek word is “empatheia”. So the ancient Greeks had a word which roughly translates to “in feeling” and which we use to describe an ability to understand and share the feelings of another. Or, in other words, to “put ourselves in someone else’s shoes.” Our usage of the word indicates that it is outside of ourselves and focused upon an external agency. I can “see it from his side”. I can “walk a mile in her shoes”. I can “feel your pain”. So, clearly the word and the idea has a strong place in our interpersonal relationships – as supported by the use in our popular vernacular. But is that the extent of it? Is that all there is to this? And how does it relate to our OST world? Here are some thoughts I have around empathy in our world. First off, from the perspective of our OST employees and teammates, empathy is the core foundation of our first belief, “honor our people and their families first”. We internalize the needs of individuals and their families and make them our own. We recognize when we need to put them first, ahead of ourselves and ahead of the needs of OST. We are constantly on the lookout for the opportunity to recognize a need and make sure it is met. We sacrifice our time and efforts to make sure that others get what they need, and we have expectations that others will reciprocate when we need. The reason we can do this is because we are actively “in feeling” with our OST family members and that allows us to care for them and their needs in a way which is not reflected in society as a whole – especially in the context of a corporation. Empathy is a strong player in our second core foundation as well, “we will delight our clients”. How can we delight our clients if we are not “in feeling” with them? In other words, if we do not understand the true needs of our client how will we ever be successful in delighting them? There are those who believe that simply completing a task or project “on time and on budget” is the definition of delighting our client but I know it goes much deeper than that. To truly delight a client, it is not enough to just do what they ask, we need to understand what they really need and help them to get there! We need to be “in feeling” with them and taking our knowledge and skills and leveraging that understanding to build solutions that give them what they absolutely require, which is often quite different from what they have asked. Look at our next guiding creed, “we serve with humility”. There are many definitions of service, but in this case we mean that we provide “acts of helpful activity or aid”. Disregarding the obviously redundant nature of that definition (thanks for that dictionary.com!) it is clear to see that without an understanding of the need, without being “in feeling” with the one we are serving it will be very difficult to provide service which is of value. And how about that last little bit… “with humility”. What does that mean if not serving the individual in such a way that they feel (“in feeling!”) that the servitude is motivated by caring and compassion – not from a self-centered or selfish desire, but truly for the benefit of the one being served. As one being served you cannot feel that servitude is of pure motivation (which I believe is required in order to really feel good about it) unless it is delivered with humility. Back to our usage of empathy as supported by our popular vernacular. Focused on others and aligned to interpersonal relationships, but is that the full extent? What about being “in feeling” with ourselves? What about giving ourselves the benefit of the doubt from time to time? What about recognizing the flawed humanity we all are and giving ourselves a break occasionally? We all need to remain aware of the fact that we need to serve ourselves too, and in order to do so we need to understand our own feelings and motivations. This blog post is not a suitable forum for a full exploration of this topic, but I know that some amongst us work on ourselves through therapy and coaching, while others meditate and journal. (Some of us stand thigh deep in freezing rivers in rubber pants waiving a stick too… there are many ways to explore yourself!) I’m sure though that many of us are not working on this enough, and that is something we should all spend more time on, time thinking about and taking thoughtful action to be more empathetic to others and ourselves! We say it all the time, and we live it as well; we are a family at OST. We care for one another, we serve one another and we honor one another. At work and outside of work. And you know what else? We bicker and we argue and we dishonor one another as well, just like a real family! And just like at OST, the tenant of empathy is important at home with our own friends and families. Some of us are better at it than others… and some of us need to work on it a bit – both at work and at home. Safe to say that none of us are as good at it as we could be though! As I close these thoughts today, the last thing I am thinking about is the role of empathy in design and design thinking. If you examine the approach and focus of human centered design, it is all about empathy. Empathy in understanding the user’s feeling towards a product or a service. Being “in feeling” with the user such that decisions and directions become more clear, and results are demonstrably better. If I had to point out one thing that I have found personally valuable from our close partnership with Visualhero as we have worked to merge our teams, it is the constant examples of empathy as it relates to our clients, each other and ourselves. Probably because of the design ethos which values empathy so greatly, the team at Visualhero practically oozes empathy in every single thing they do or say. So… I am currently “in feeling” with you, kind reader, and see clearly and understand without question that you have had enough… so I will thank you from the bottom of my heart for reading this far and bid you “Avtio” for now! 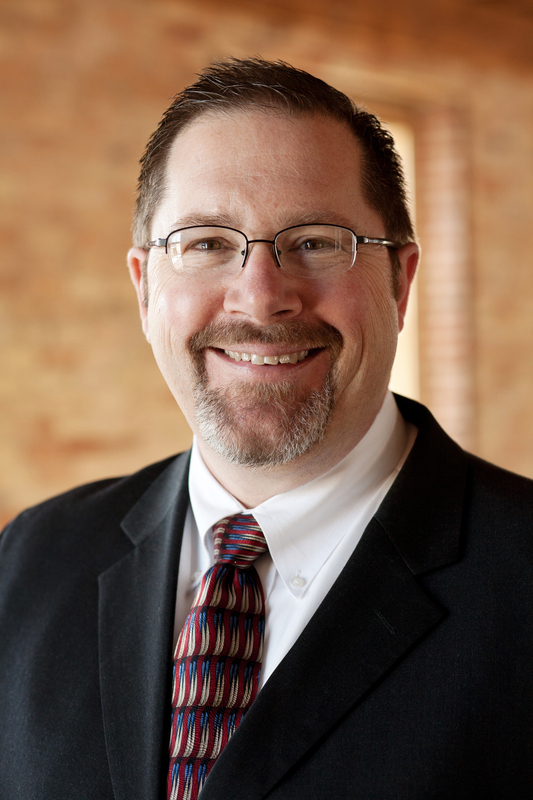 John Vancil is a twenty-eight year veteran of the Information Technology field, currently holding the position of Director of Professional Services for Open Systems Technologies (OST) in Grand Rapids Michigan. During his career, John has held numerous development, support, management and staff level positions with companies ranging from enterprise (Electronic Data Systems, Baan) to the SMB space (Nucraft Furniture, OST). Today John is responsible for a $29 million dollar services operation which encompasses Data Center Solutions, Application Development, Data Analytics, Design, ERP and Advisory Services, Security, and Managed Services. John shares his life with wife Amy, daughter Catherine and Lambeau the world’s most exuberant Golden Retriever. When he is not serving the OST team, John likes to golf, fly-fish, compose and perform music and hang out with the family. One morning last week, I left Lambeau, our dog, outside. 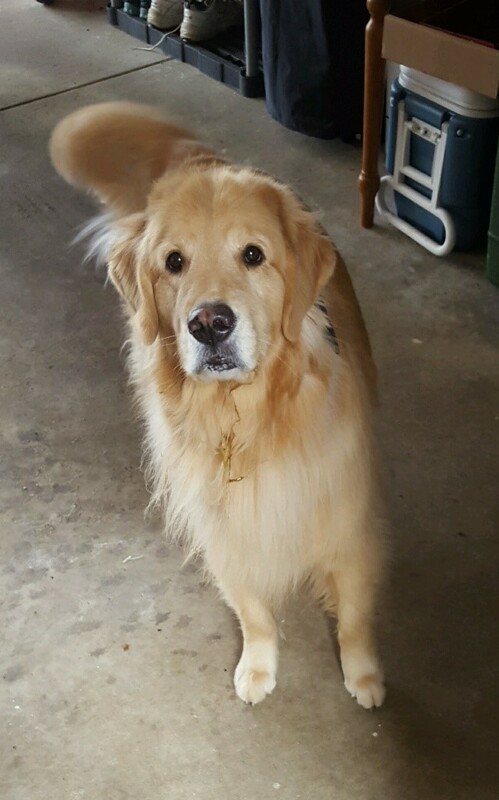 Now, normally this wouldn’t be an especially notable incident – after all dogs are sort of built to be outside – however in this case I was not SUPPOSED to leave the dog outside. I was SUPPOSED to walk the dog, make sure he had some water and leave him to lounge around all day shuttling between the couch and the easy chair to await our arrival back home as a family that evening. This would be his regular and expected daily schedule – leaving him outside would certainly be considered as aberrant to the norm. I did not realize I left the dog outside. Certainly, if I had realized, I would have taken steps to get him back inside into his preferred environment prior to departing for the office. And of course he was right! The dog had no issues with the situation, in fact as I understand it, he was excited and energized by the whole adventure. Amy, on the other hand, was not pleased. And rightfully so, I might add. I had a responsibility to my family and the dog to make sure I met my commitments and paid attention to the things which are important to us as a group. And I did not – I let myself get consumed by the day ahead of me, the meetings and discussions and the problems at hand waiting to be solved and I forgot about my responsibilities to my family. So first off, I apologized to Amy and professed the probable need for a lobotomy – which I offered might be self-administered or if she preferred she could do it herself. And then I started thinking about the situation, and examining why it happened. What could possibly cause me to forget these responsibilities? You, dear reader, have most likely jumped to the conclusion already. The conclusion that I came to was that I had done a poor job of establishing and maintaining the boundaries of my work – life balance. I let my focus and attention move solely to what was ahead of me in my work day and allowed that to take over my conscious thoughts and intentions. In other words, I absent mindedly forgot the important things right in front of me for the other important things down the line. It is easy to do, isn’t it? Our work life can be pervasive, and we carry it around with us all day and all night on our smart phones and tablets. I can grab my phone or my iPad and surf my email at any time – and I often do. I respond to emails at all hours and when I have an idea I will pick up the phone, capture it in an email and shoot it off to someone. I respond to texts as they come in and even when the phone isn’t in my hand, thoughts of work are not far from my mind. This is not singular to me either, I notice it all around me. And guess what? Every time I send an email at 9:00 pm or give in to the 3:30 am idea I had when I couldn’t sleep and send it off to someone, what am I doing? I’m setting expectations for others! That is not good! “John does his email at 9:30 pm, I guess that is what is expected!” This is an expectation I don’t want to set and should not be setting. We want our OST team members to be able to go home and be there for their families and in the “life” side of their world. We want our OST team members to be able to shut things down and recharge – to have outside interests and hobbies and passions which relate in no way to OST and are allowed to get their full attention. We want our OST team members to be able to regulate their work-life balance, and the key word there is balance! So… what to do? I’m not totally sure at this point – but for sure I have decided to be much more diligent about putting down the phone when I get home. I have decided to be purposeful about separating my thoughts from OST and focusing on my family and personal responsibilities and interests. I have decided to carefully evaluate the situation any time I am thinking about emailing or communicating outside of traditional work hours so that I do not send unintended messages to others. How successful will I be? Time will tell… I know there will be times and circumstances where I will break my rules – and that will just have to be okay. There will be good reasons for it. But in the main, in the norm, in the day to day, my goal is to find that point where we have more equilibrium and set my fulcrum right there! And if you have left the dog out lately, euphemistically of course, I think you should spend some time on your work –life balance too… just a thought.